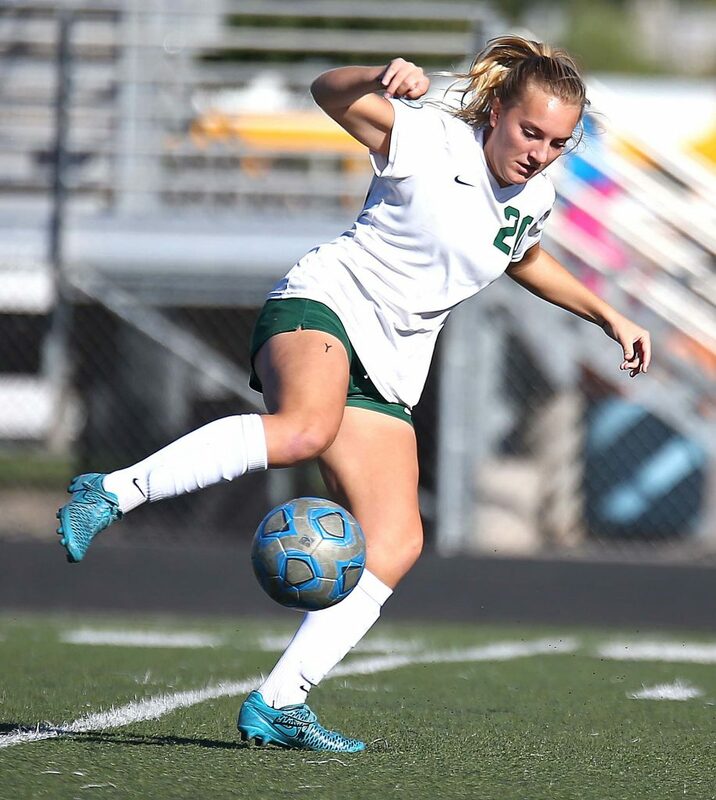 Heidi Smith scored the only goal of the game to lead the Lady Warriors over the Soaring Eagle in a revenge game from last year’s 3A semifinals. The teams have now played every year in the playoffs since 2012. 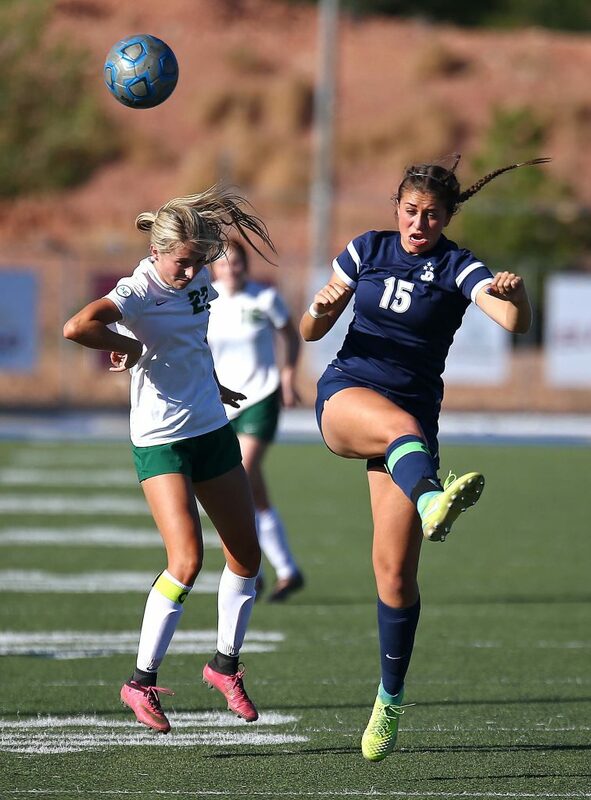 The Lady Warriors had a chance in the first minute when Ashley Brindley stole the ball after a Juan Diego player tripped. Brindley had a great look, but the ball went off the left post and out of bounds. 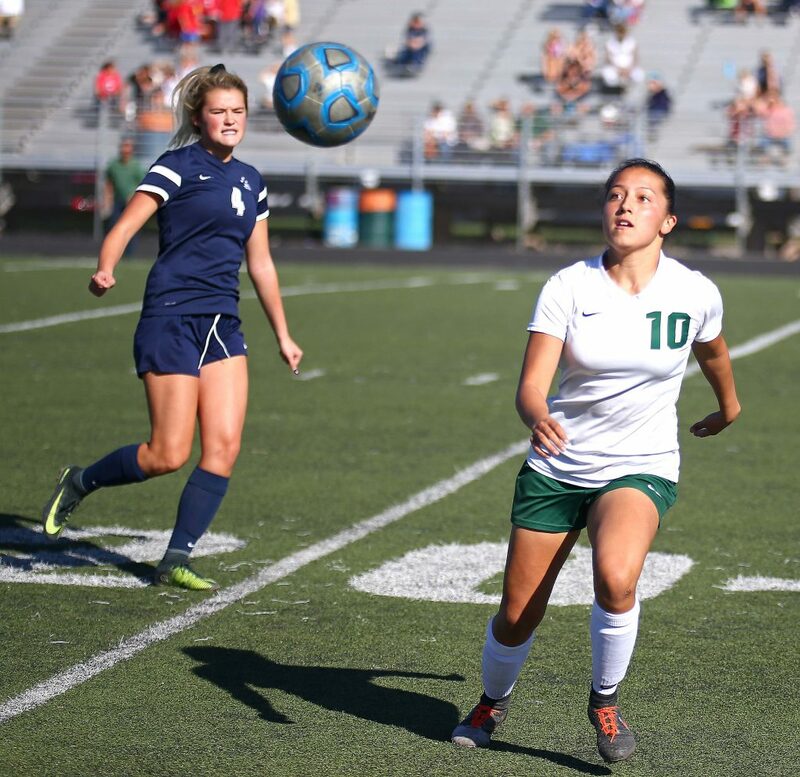 The Lady Warriors would continue to shoot the ball, totaling nine shots in the first half, compared to three for Juan Diego. The Soaring Eagle also came into the game and played extremely aggressive. Some calls, and no-calls, had fans up in arms. 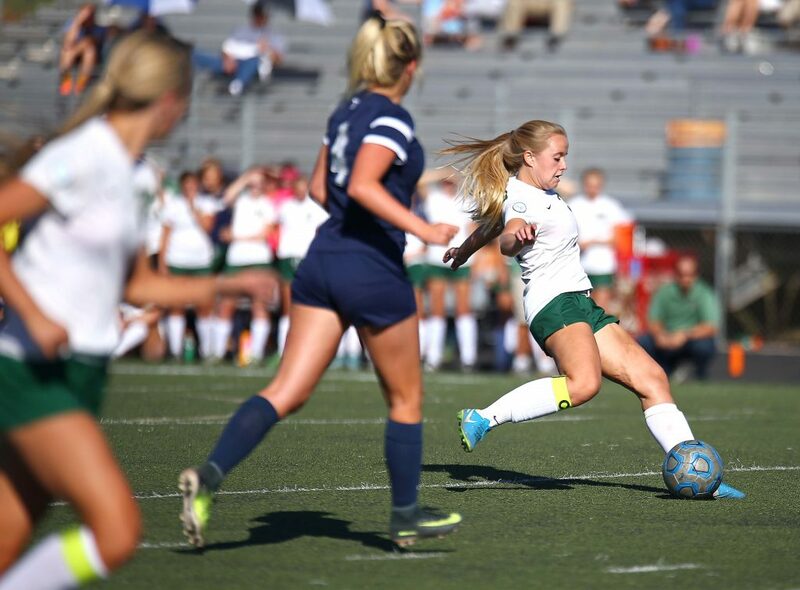 Late in the first half, Smith had a chance to score, but was fouled before she could get a shot off inside the box. Smith took the penalty kick, only to have it go off the right post and out of bounds. The teams would go into halftime with no score. With the teams playing each other for six consecutive years now, both had to make adjustments. 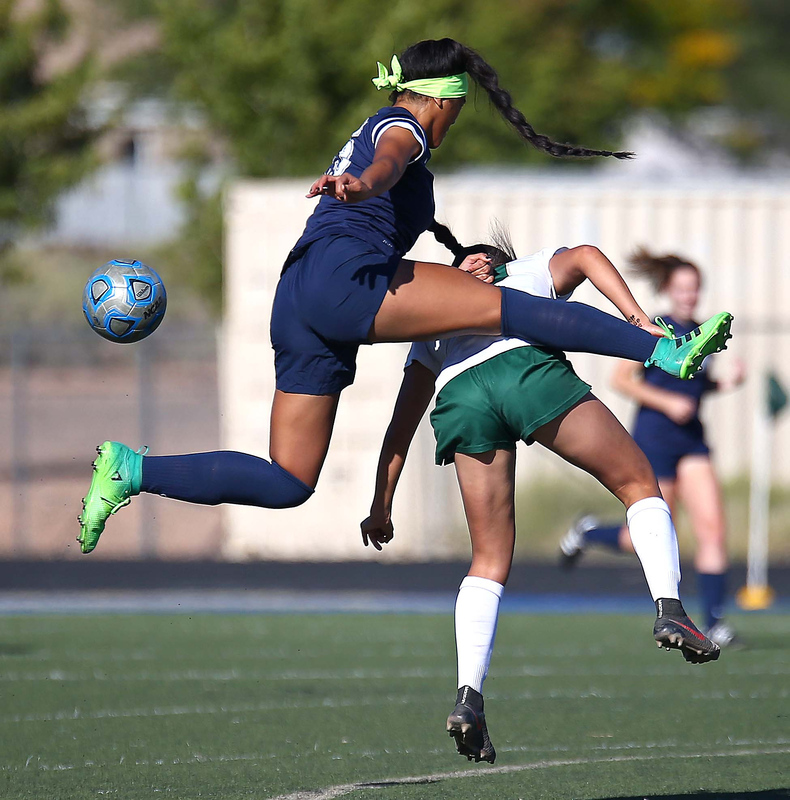 Juan Diego was getting close to receiving yellow cards, while the Lady Warriors were called for so many offsides that they could not get their normal offensive flow going. 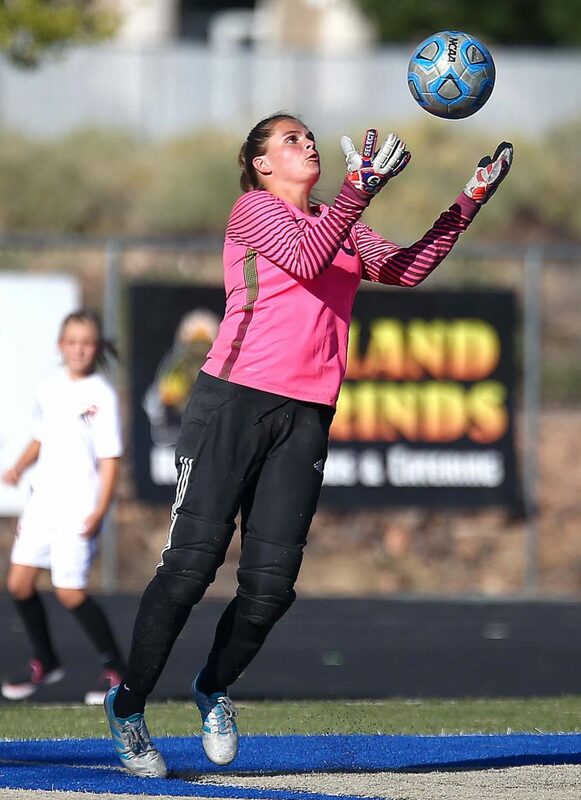 Smith was the main focus for the Soaring Eagle back line, as she has scored eight goals this year by pressing high and able to go one-on-one with goalies. 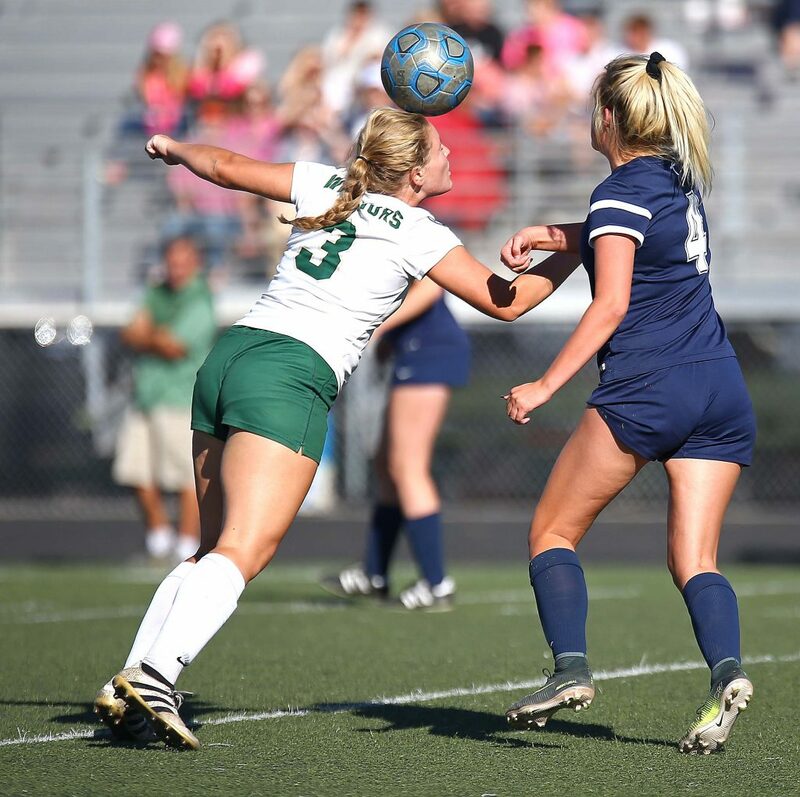 In the 50th minute, Lady Warriors goalie Megan Rodgers got a save and booted the ball downfield. 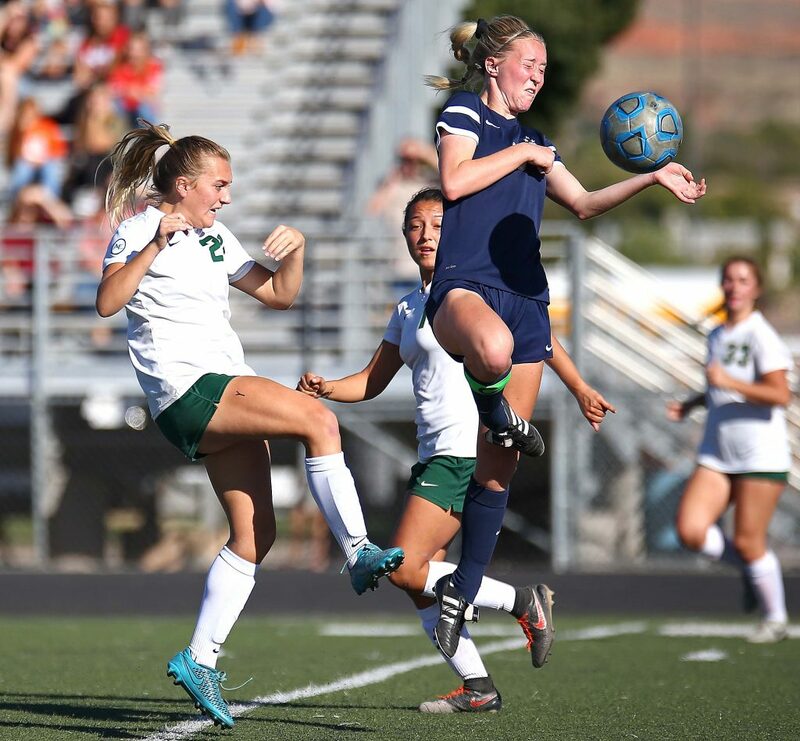 A Juan Diego defender attempted to head the ball forward, but it went off the back of her head and toward the Soaring Eagle goal. Smith, who was already pressing high, got the ball and went one-on-one with the keeper. Smith put the ball in, giving the Lady Warriors a 1-0 lead. “When I kicked it I was like, ‘Just go score,’” Rodgers said. 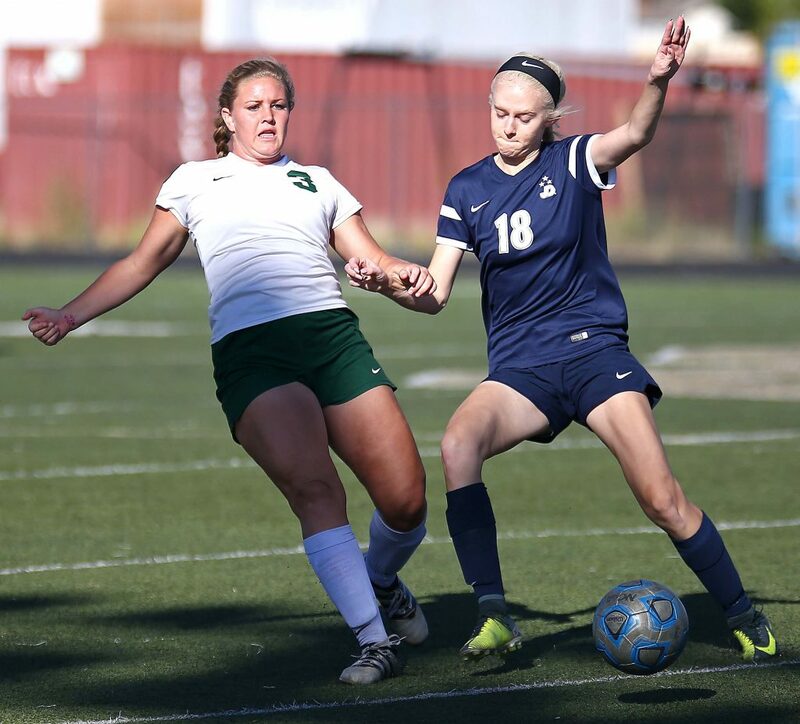 The Soaring Eagle had a chance in the 65th minute to tie the game with a long possession. Just as the ball was nearing the goal, Rodgers stepped in and took possession before a shot could be made. 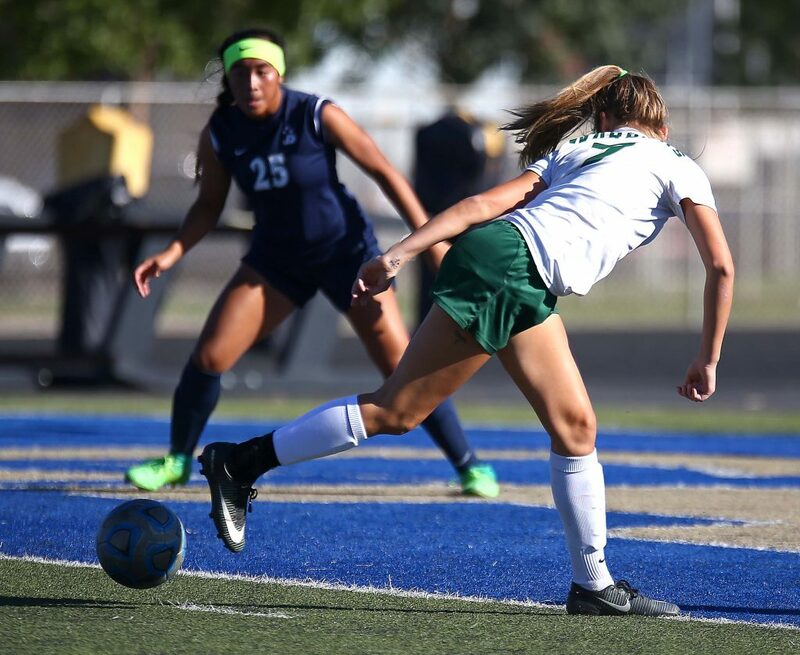 Snow Canyon was almost able to add an insurance goal late in the second half when Arantxa Melendez took a free kick. The ball went off the crossbar and appeared to go in but was really just inches in front of the line. A header by the Lady Warriors had the same result. 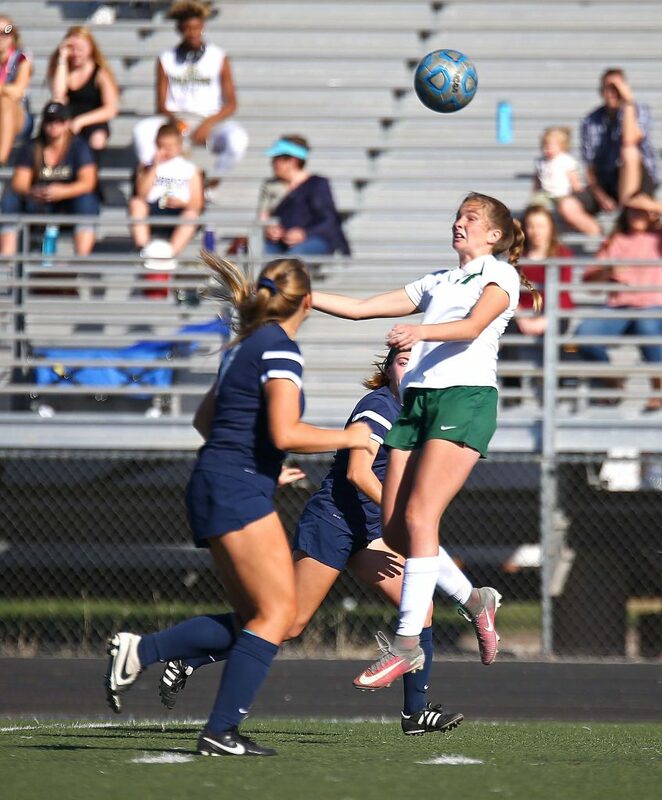 The ball ended up going out of bounds with the score staying 1-0 in favor of Snow Canyon. During the last five minutes, the Lady Warriors seemed tense. Kunde could be heard yelling from the sideline for his team to calm down and just play the game. The last chance for the Soaring Eagle came in the final minute when Daviana Vaka, who played with many Lady Warriors growing up, was closing in on the goal. Rodgers dove on top of the ball to preserve the shutout win. She then kicked the ball far out of bounds to run out the final 20 seconds of the game. 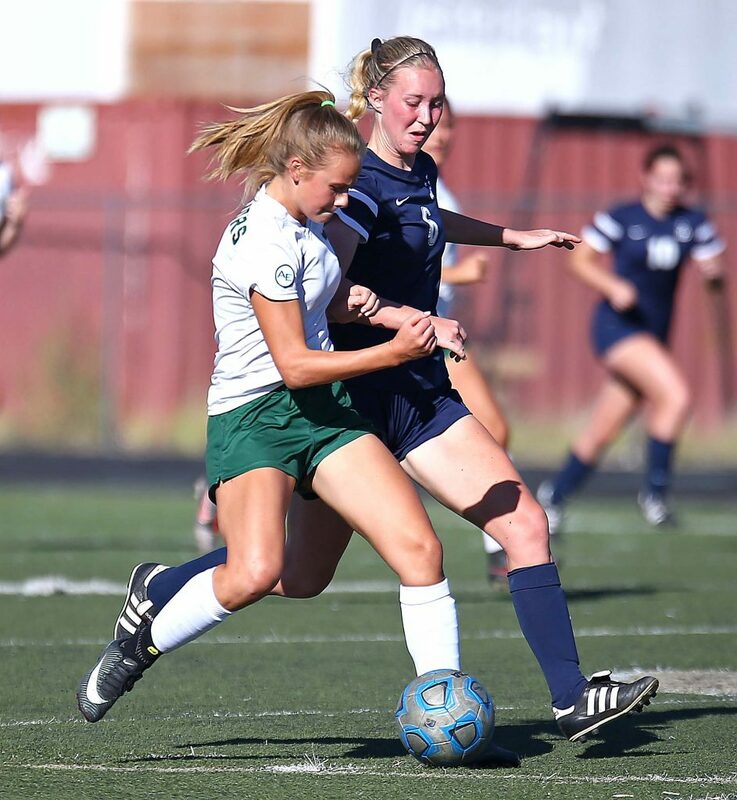 The win puts the Lady Warriors as the only Region 9 team to prevail on Wednesday. But the team is just glad to be moving onto the second round. “Nerves got to us a bit,” Kunde said. 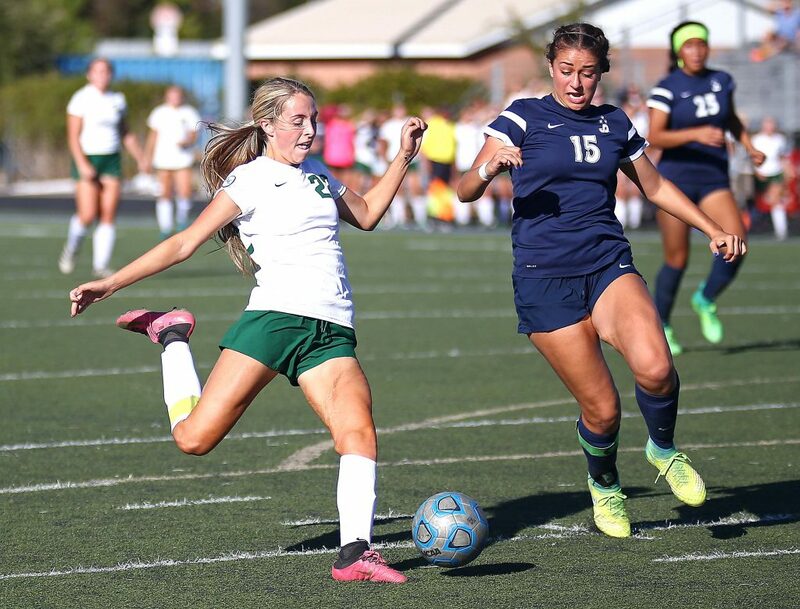 “Hopefully the nerves are over and (the girls) understand that it’s next one up and they’re a good team and they can go out and do what they’ve done in region and play well and compete with anybody in the 4A classification. The Lady Warriors will now host the Logan Grizzlies, Region 12’s second seed, on Saturday at 1 p.m. 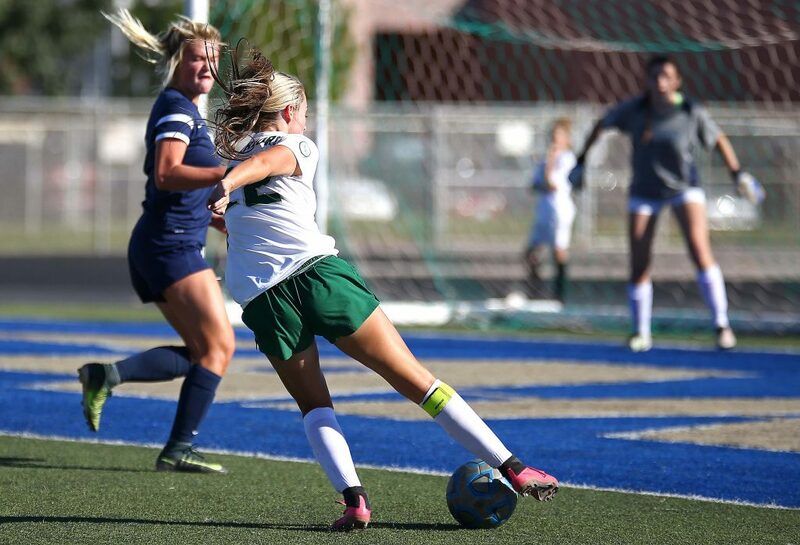 The Grizzlies beat Orem 1-0 in Logan on Wednesday and went 8-5-3 overall in the regular season. 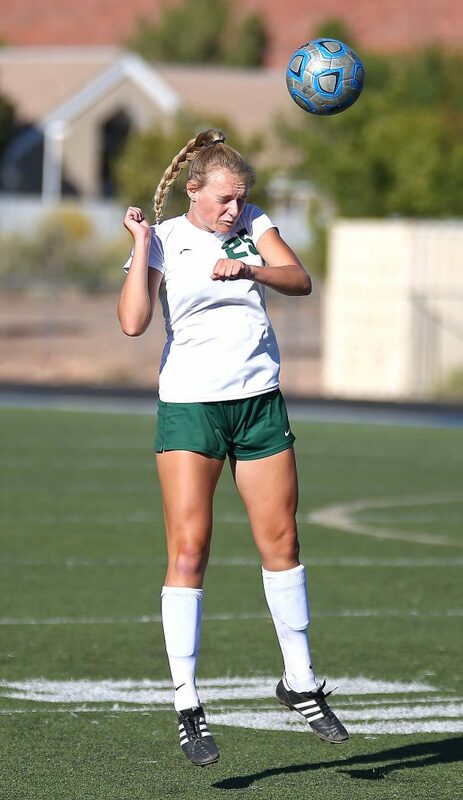 Both teams played Davis in the preseason, with Snow Canyon winning 2-1 and Logan losing 4-3. Smith said the team is glad to be playing at home. The Miners used a second half surge to get past the Flyers. 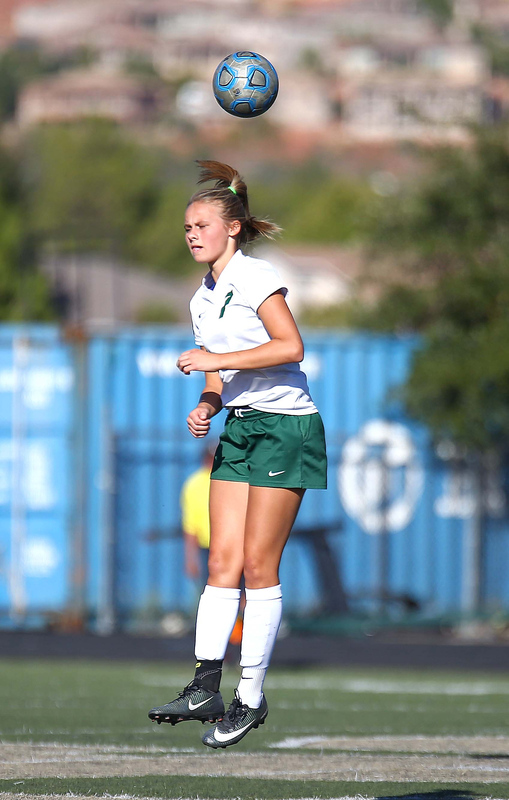 Casey Crawford and Megan Guetschow scored the only goals in the game. Gibbs, however, was very pleased with how the season turned out for the Flyers. “Whenever you lose in the playoffs, you’re not totally happy, but I’m really happy for the girls for the season,” he said. “They came off an unsuccessful year where they didn’t make the playoffs and had a ton of growth. They were unified the whole year. There were no games that pulled us apart. 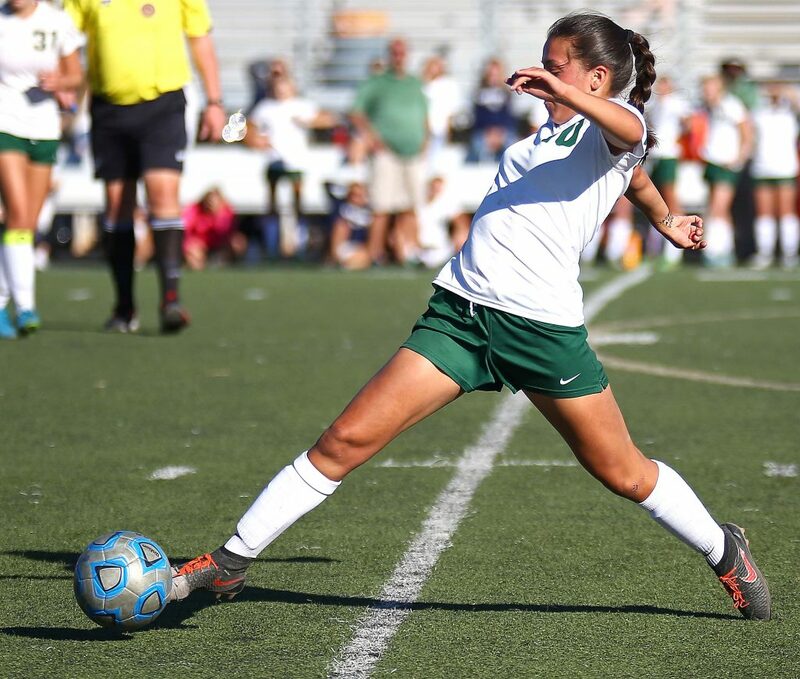 The Flyers took a big loss late in the season when star defensive player Delaney Story tore ligaments in her knee. Gibbs said that hurt the team, but the team was still very deep. Story hopes to be back in time for the start of next season, which will be her last. 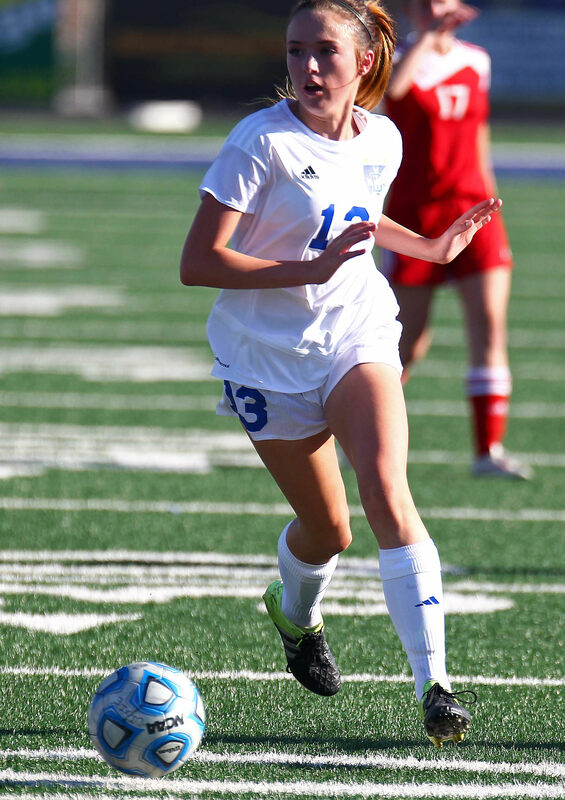 Dixie will lose Kourtney Kezos on the defensive side, as well as McKayla Stucki, Rebekah Snow, McKenna Mcallister, Averie Howes and McCall Maynard. However, players such as Story, Kennedy Warnick, Lindsey Barben, Jessica Vasquez and Piper Cuff should all be back for next year. Dixie will be a favorite to make next year’s playoffs. The Lakers used a run in the final 12 minutes at home to sneak past the Thunder. 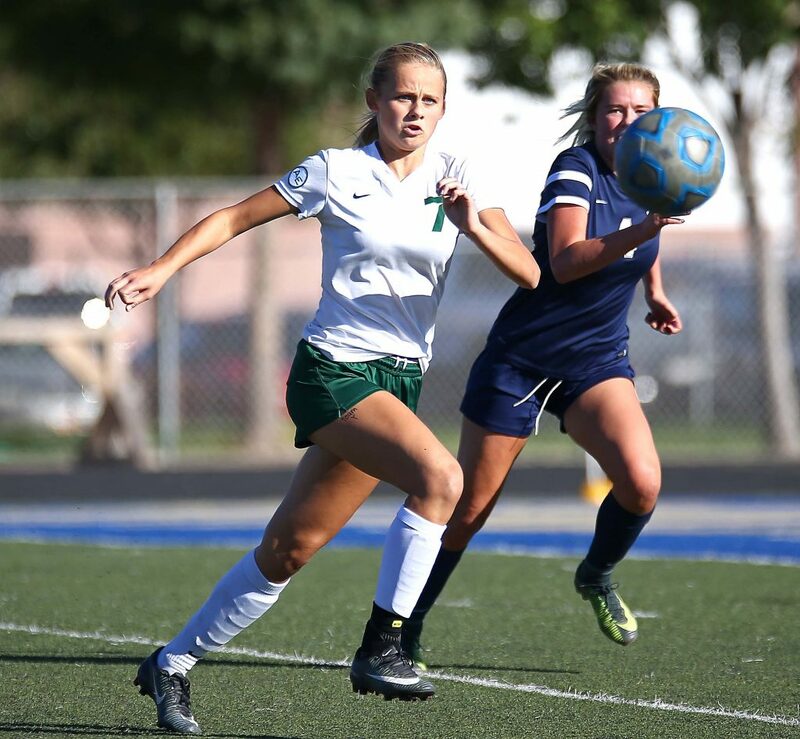 Bailey Hassell and Jaycee Stein scored for the Lakers. Thunder coach Benji Nelson said his team had chances to score, but just didn’t finish. That has been the struggle all season. Nelson said his team had a great season in Region 9. 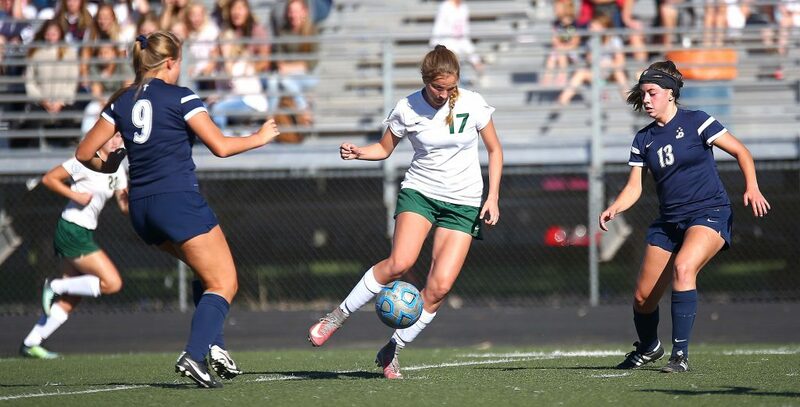 Through all of region, the Thunder never lost by more than one goal. The defense was amazing, but the offense just didn’t’ finish. Four starters went down at some point in the season. It was tough, but gave other girls a chance to step up and play. Nelson also said he is excited to have most of his team back next year. He expects several girls to mature in the off season and make the team even better. They will be deep at every position and will be able to put great competition. He knows that Region 9 will not get any easier, but will be tough to beat if they can finish on offense. The Thunder will lose Jess Mathis, Kylee Westhoff, Kodee Bracken, Rylee Robinson and Mallory Iverson. Returning players include Riane Hall, Drew Morby, Tanayia Crosby, Kenzie Woolley and Robyn Neville. The Lady Reds fell just short of the upset in Ogden against the Tigers. 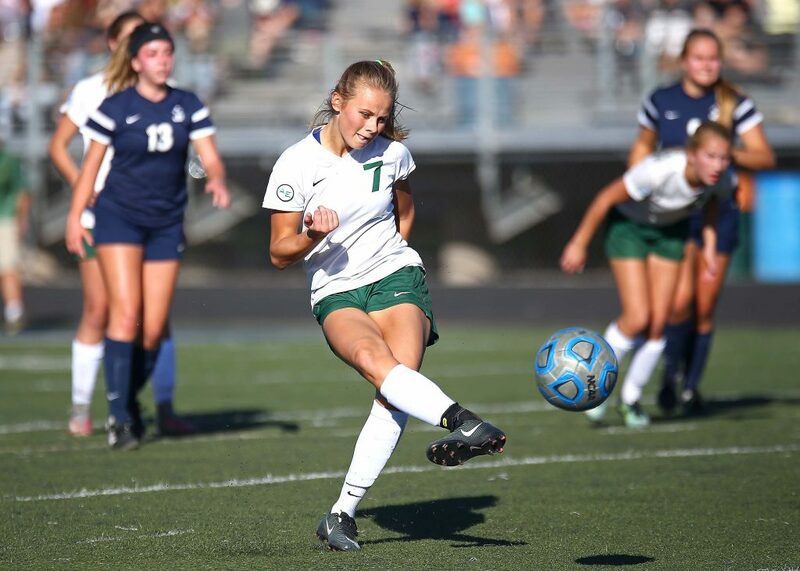 Alysia Butters scored in the first half for the Tigers, while Kadrey Howell scored midway through the second half and Sarah Halverson sealed the game later on. Freshman Lana Mccurry finished with two assists. 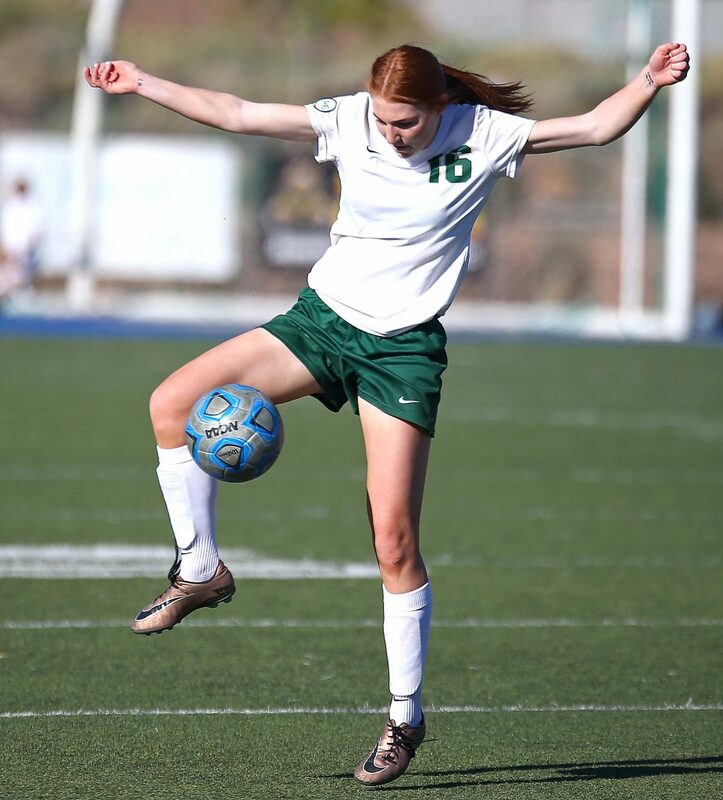 Kaitlyn Rowley scored on a penalty kick in the first half for the Lady Reds, while Julia Hunt scored later. Lady Reds coach Scott Kamachi was not available for comments. Cedar will lose Tasha Kamachi, Julia and Rachel Hunt, Ashley Jenkins, Jessica Cox, Lauren Craft, Janecca Jolley, Hannah Sobel, Brooke Shoop and Ellie Kucifer. Key returning players include Morgan Crites, Logann Laws, Brylee Winn, Lexi Bird, Michelle Jenkins and Cali Kucifer.